after a long break for holidays. 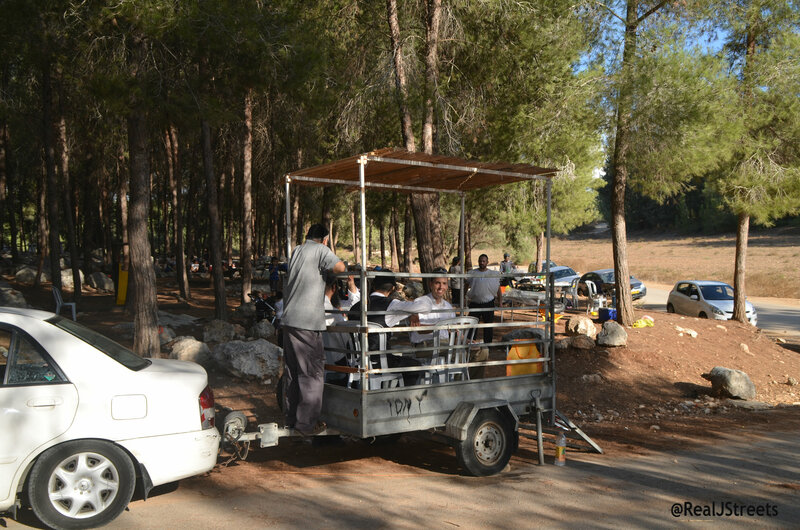 I want to share a few favorites from Sukkot 5744.
but my favorite this year was this sukka in a forest outside Jerusalem. and see someone you know sitting inside. but be it ever so humble, our sukka is also a favorite. 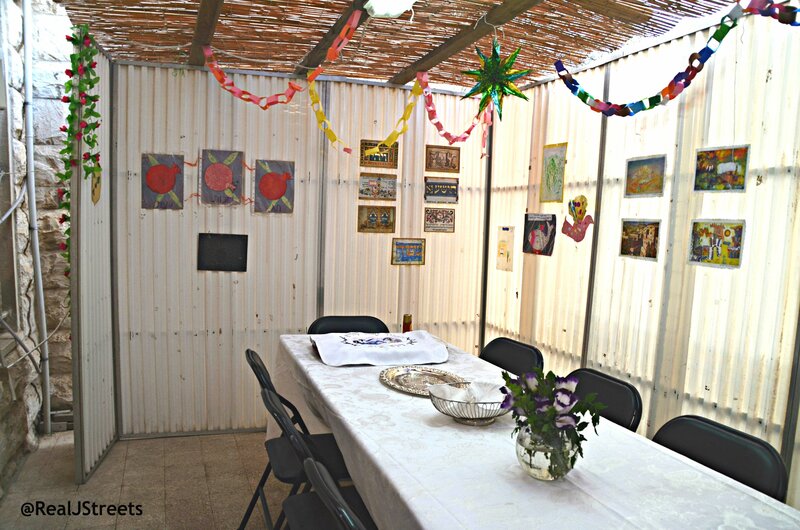 For some, Sukkot was the holiday of pizza in a hut. 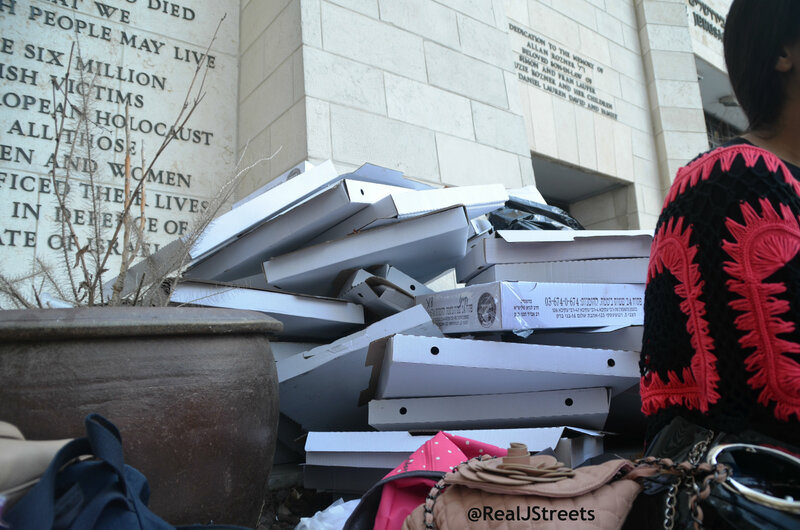 I wonder how many thousands of pizzas were consumed over the holiday? 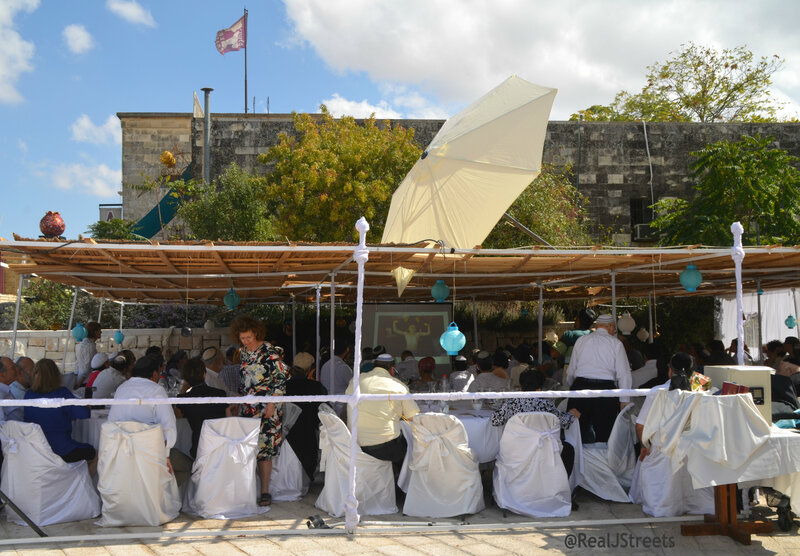 People gathered from all over the world for family celebrations. and then the wind blew a shade umbrella on top of sukka. but nothing could dampen holiday parties. 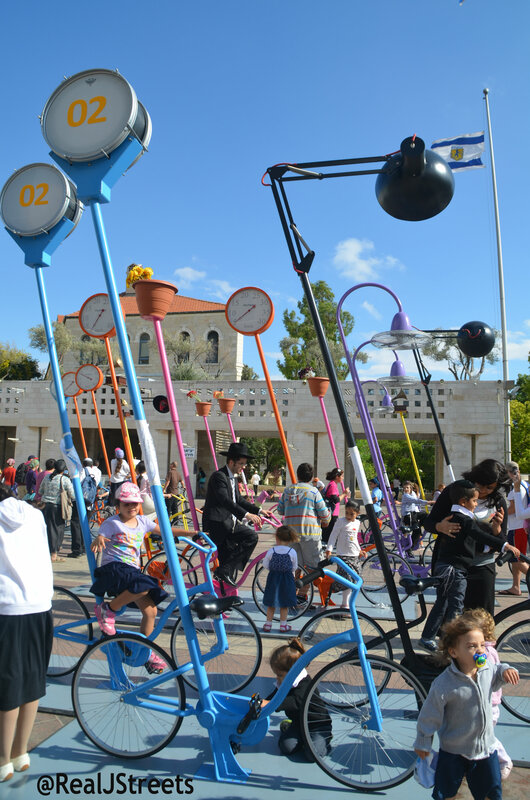 The huge public sukka in Kikar Safra was again a favorite this year. For weeks a friend has been asking, Have you seen the bikes? 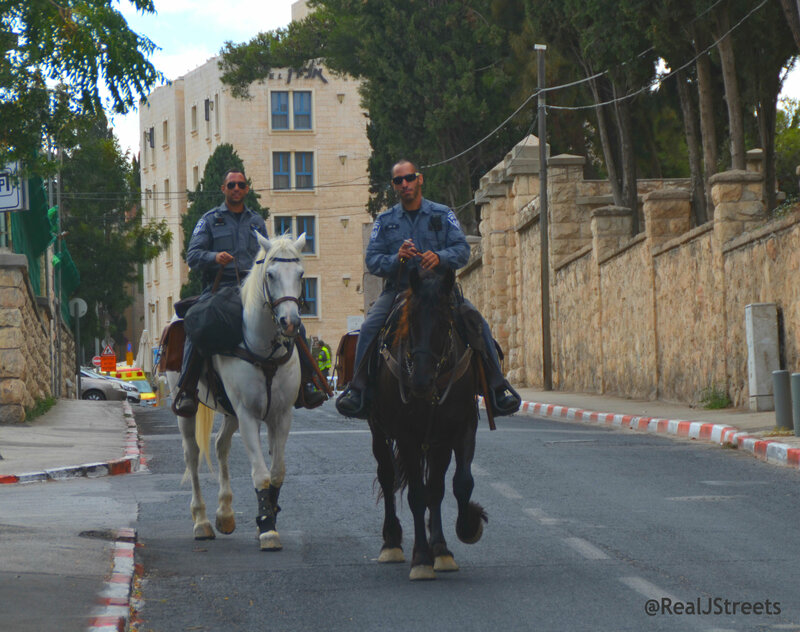 and they were a favorite for all who came to government square. it was a huge international event. 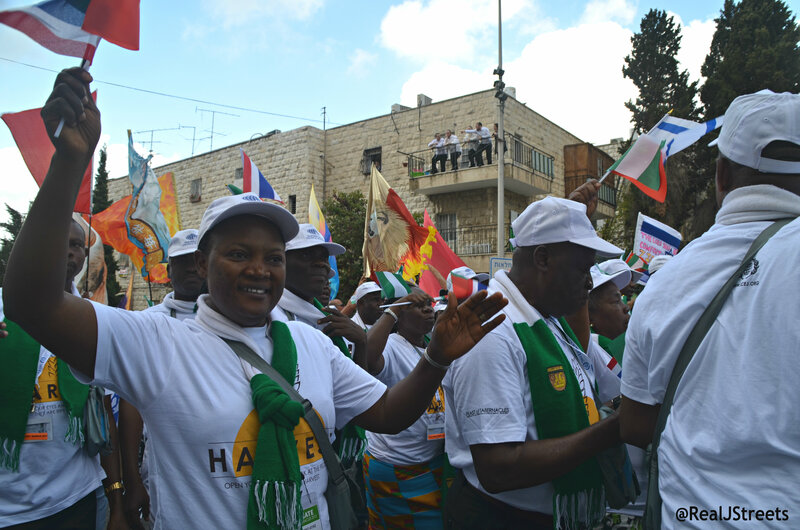 but Israel is a favorite destination for Nigerians all year-long. 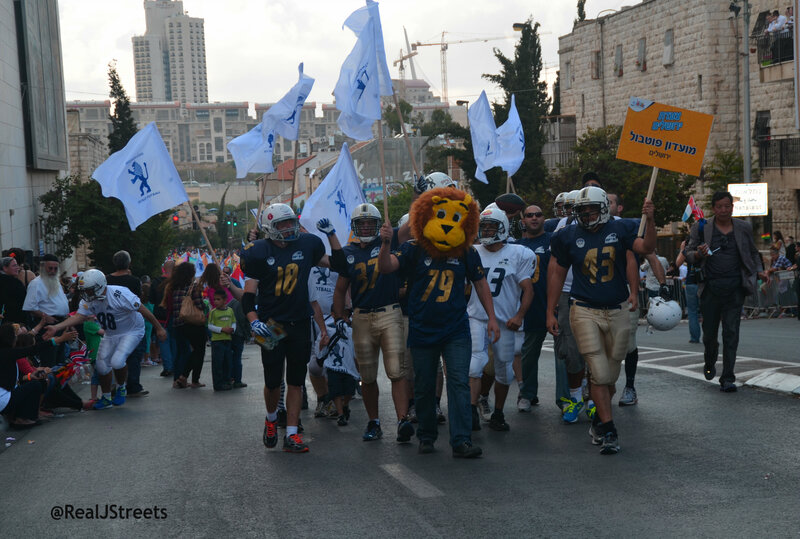 and the Jerusalem football club members who came dressed in uniform. 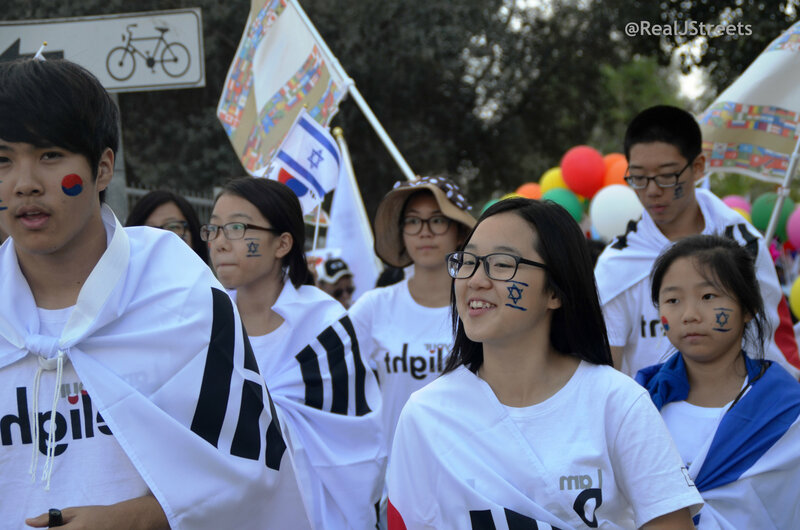 and loved cheering and receiving flags. 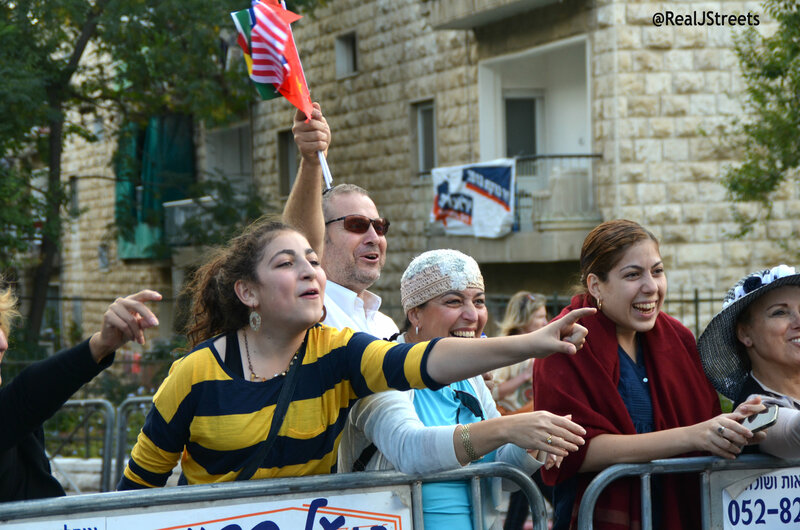 tens of thousands watched the parade, see more photos. 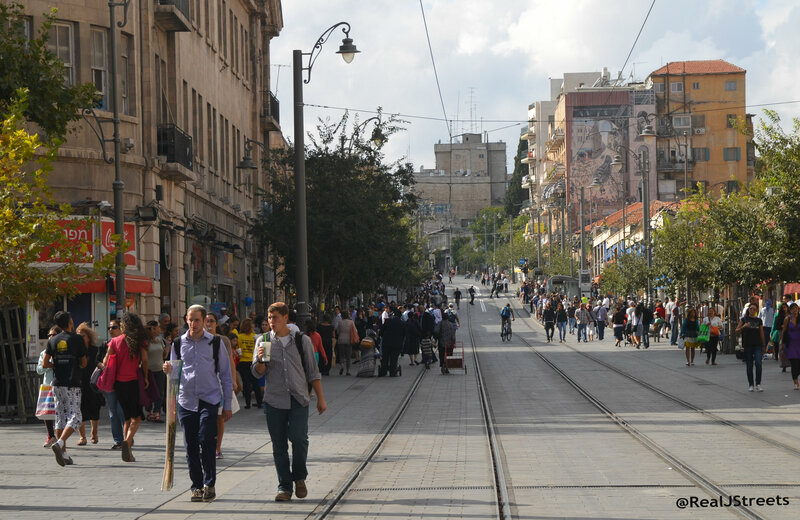 Meanwhile Jaffa Street was still busy. 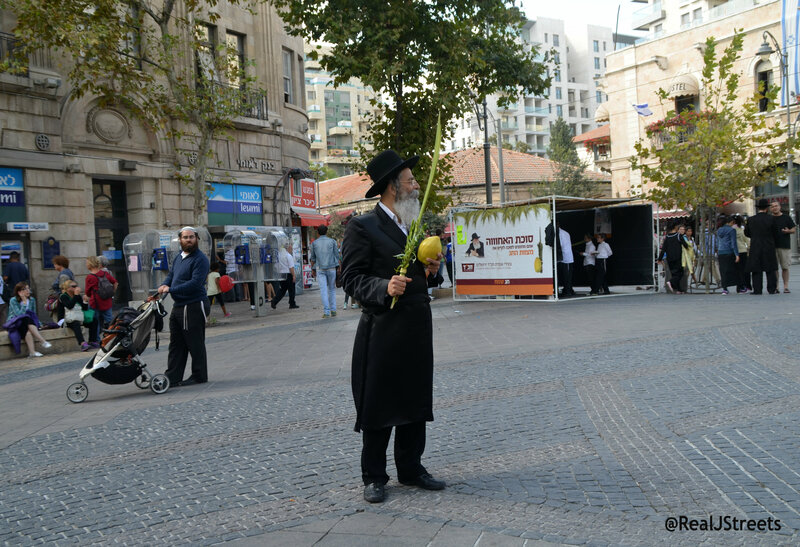 and those who held the lulav and etrog waiting for those who did not. you could hear squeals of delight from children. What a favorite it has become with all! they always are a favorite. 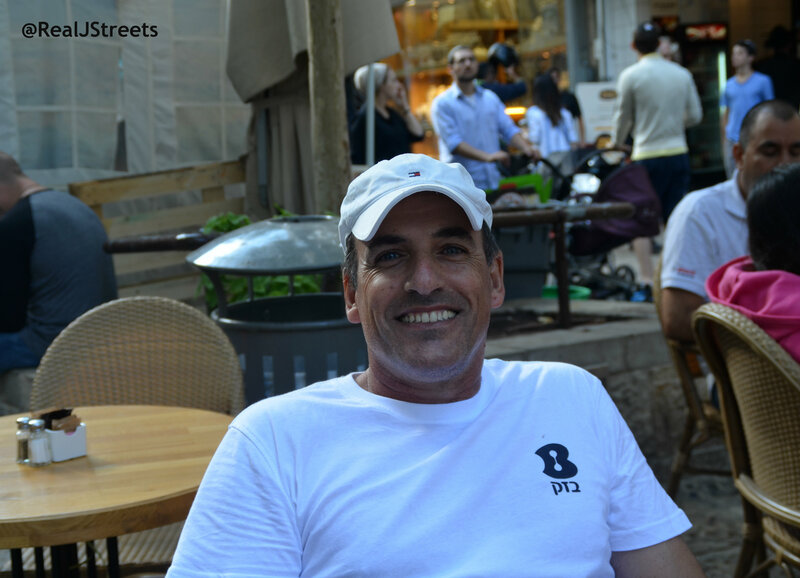 It was great to see Ben Yehuda Street so busy over the holidays. but there were tens of thousands more smiles. 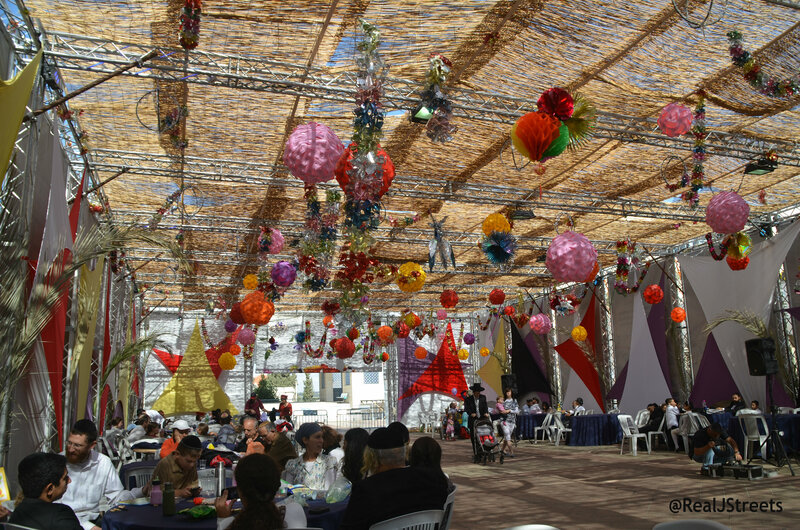 Sukkot is a favorite time of year in Jerusalem. 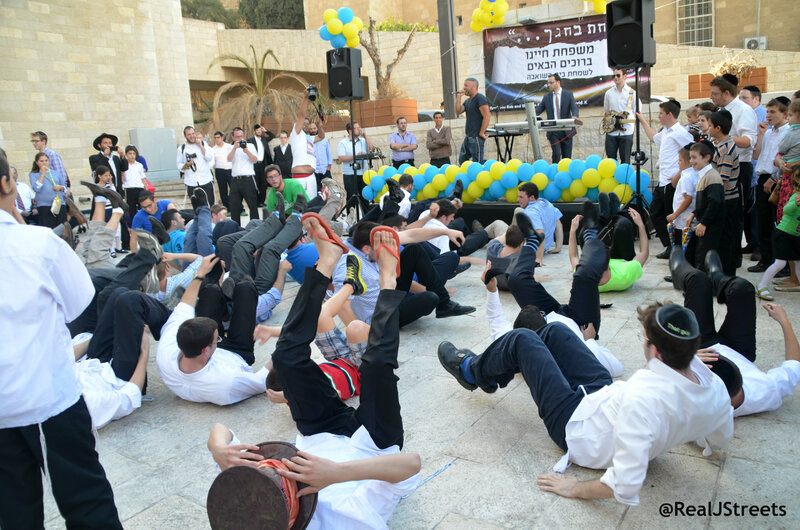 but these guys with their feet in the air were really something special. 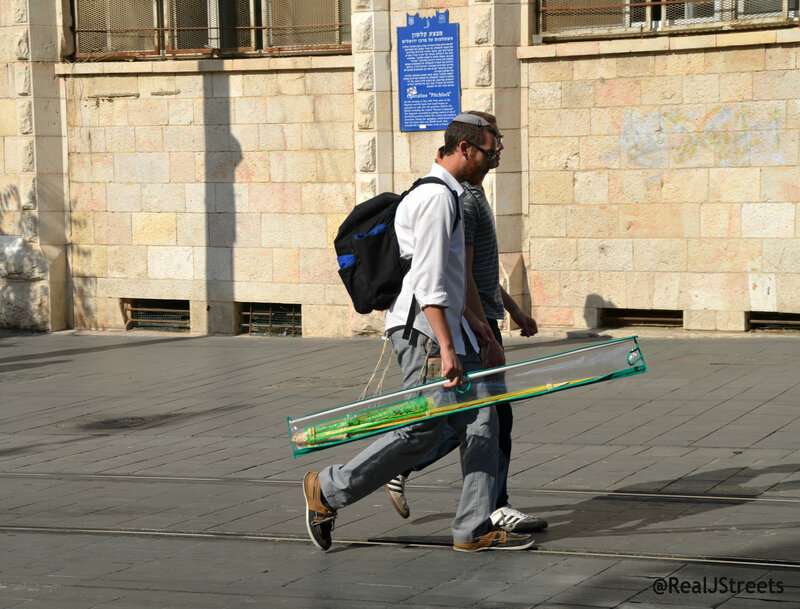 Jerusalem on Sukkot was indeed a happy season. 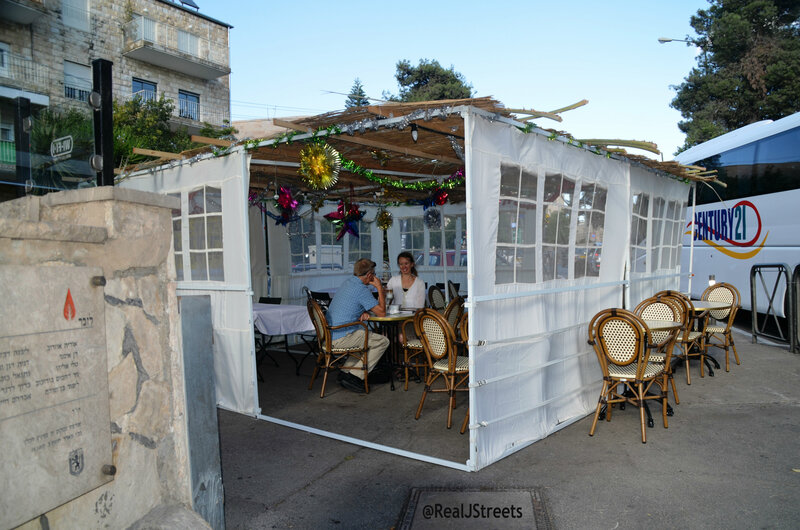 See The Real Jerusalem Streets Facebook Sukkot album. Haha, I love your “pizza in a hut” idea and pictures! 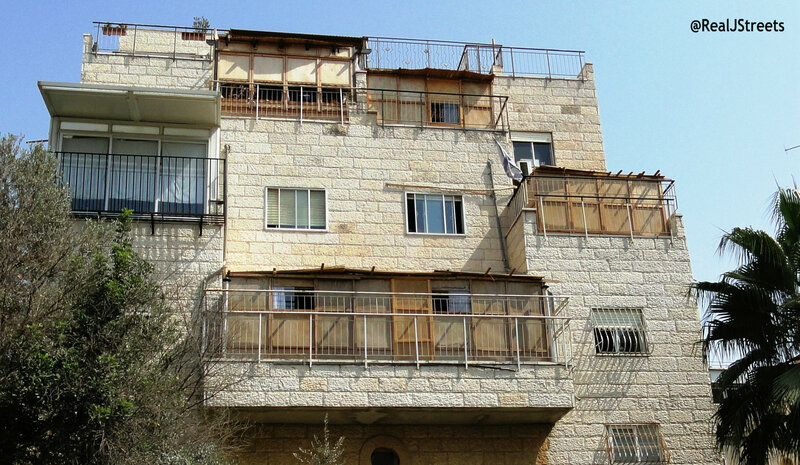 Shalom from Meitar. 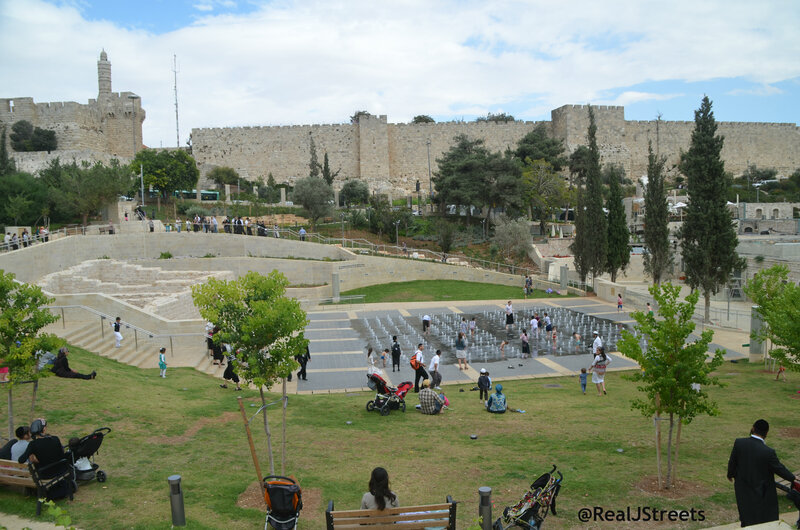 I miss Jerusalem, but when I need a dose of the Holy City there is always your blog. Thank you, I got the idea from a friend, and liked it enough to use it. 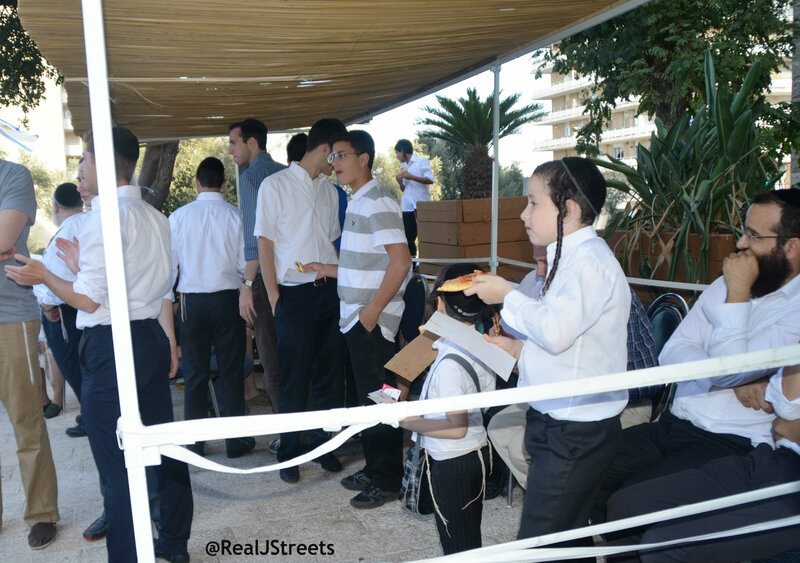 We also had a pizza party in sukka. Thanks for writing, hope to see you here soon!